Currently available for sale in Woodinville, Washington, is this cozy little tiny house on wheels. 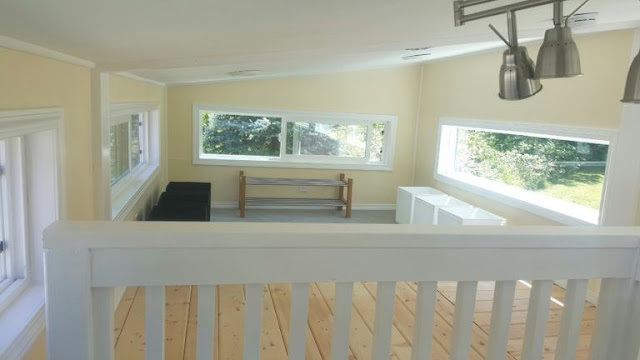 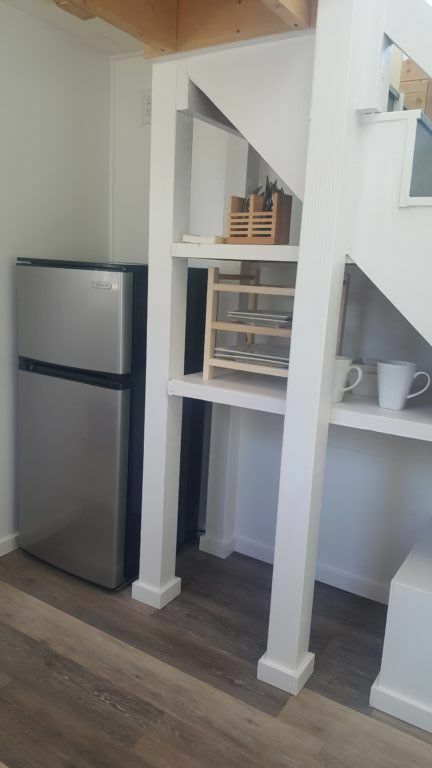 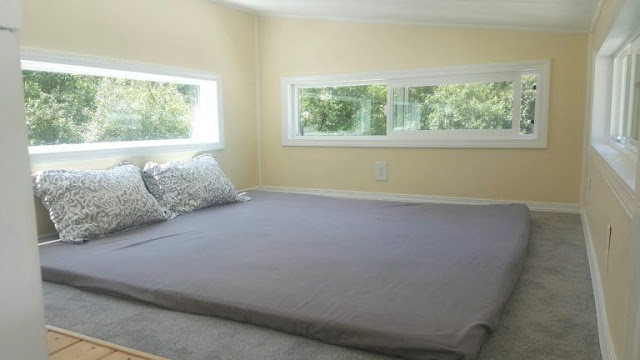 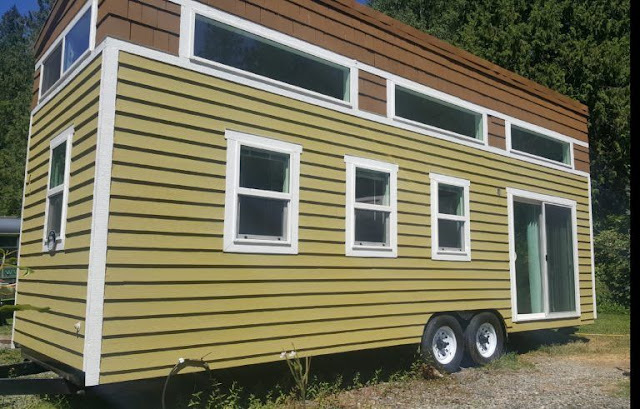 The two bedroom home measures 26 ft long, 8.5 ft wide, 14 ft tall, and has an interior size total of 400 sq ft.
After walking through the front door of this simple 400 sq. ft. tiny home, you will find yourself in the main living room. 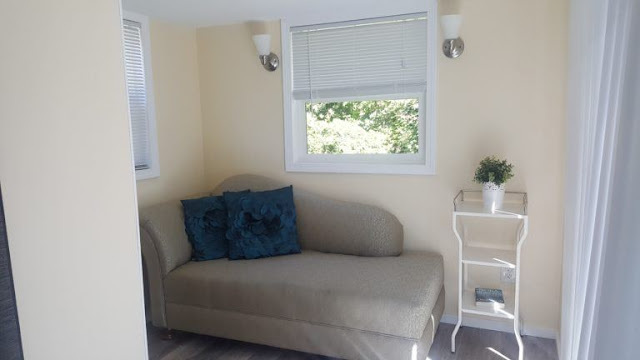 This space is furnished with a chaise lounge chair and a decorative end table. 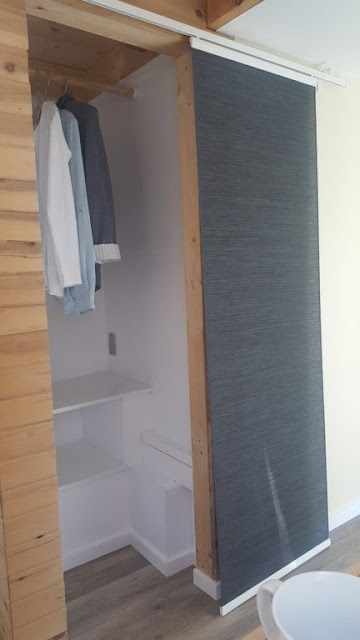 Facing away from the living room and continuing to the left side of the house, you will first pass a closet on your right and dining area on your left. 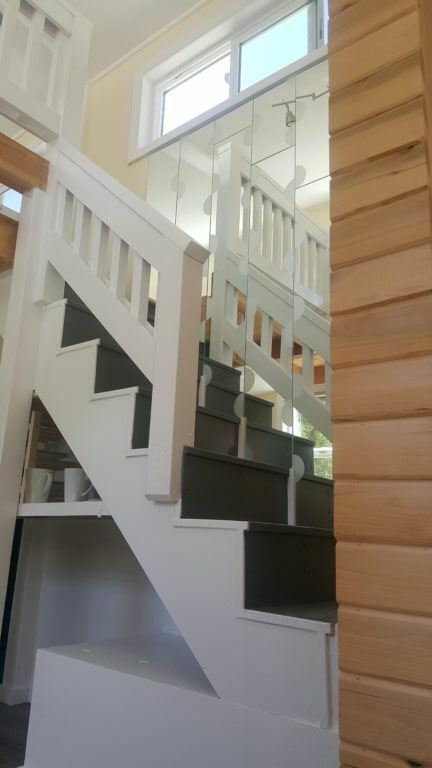 Then, you will pass a staircase that leads up to the carpeted, lofted bedrooms before entering the kitchen. 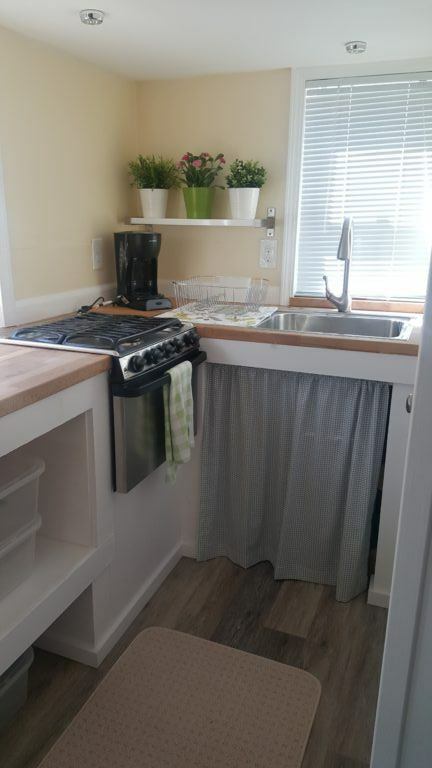 The kitchen is quaint and features the necessities such as a stainless steel sink, refrigerator/freezer and 4-burner stovetop. 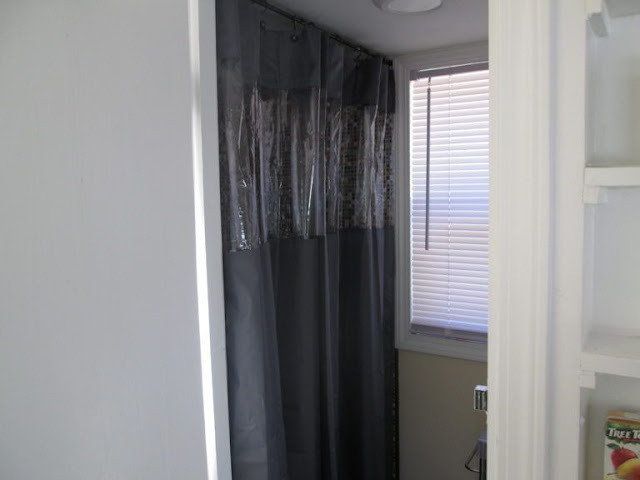 Although the pictures do not show much of the bathroom and the laundry areas, the bathroom features a shower, copper tub and dry-flush toilet; and, the laundry area includes a LG all-in-one washer/dryer unit. 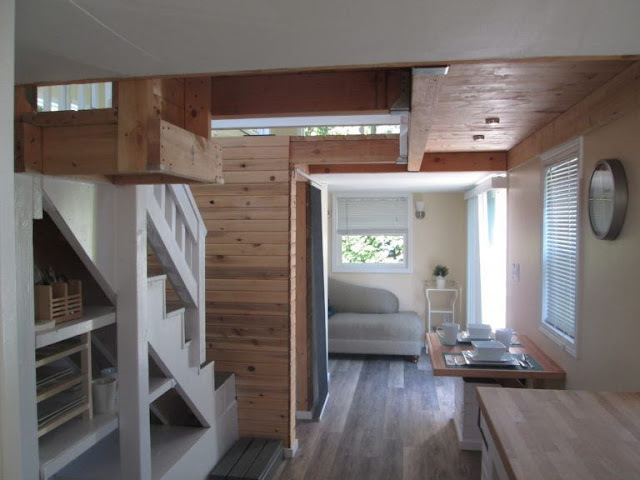 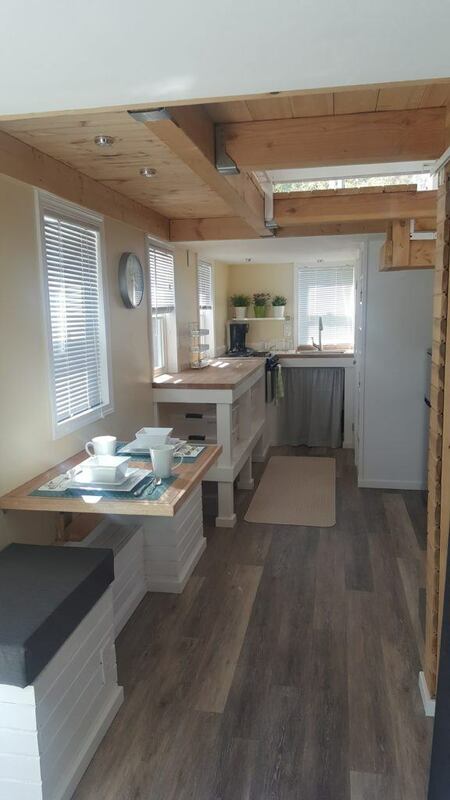 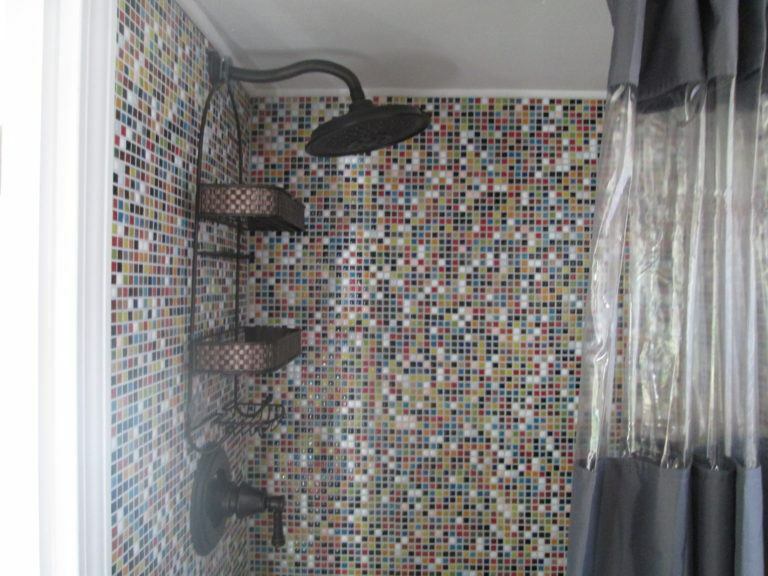 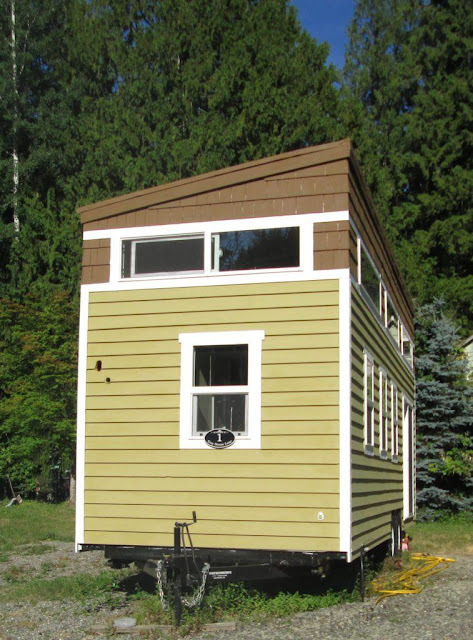 For more information on this $65,000 tiny home, visit its sales listing here!